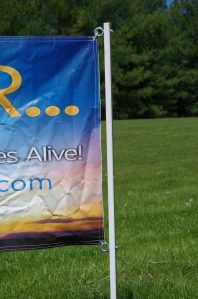 The Complete Breakaway Sign Post Kit contains an 8 Ft. Sign Post, Breakaway Hardware and an anchor post. 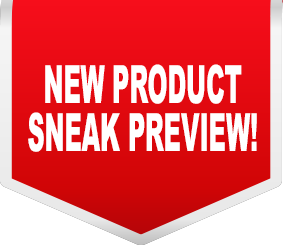 The SNAP’n SAFE Breakaway Device is FHWA approved and NCHRP Report 350 Compliant. 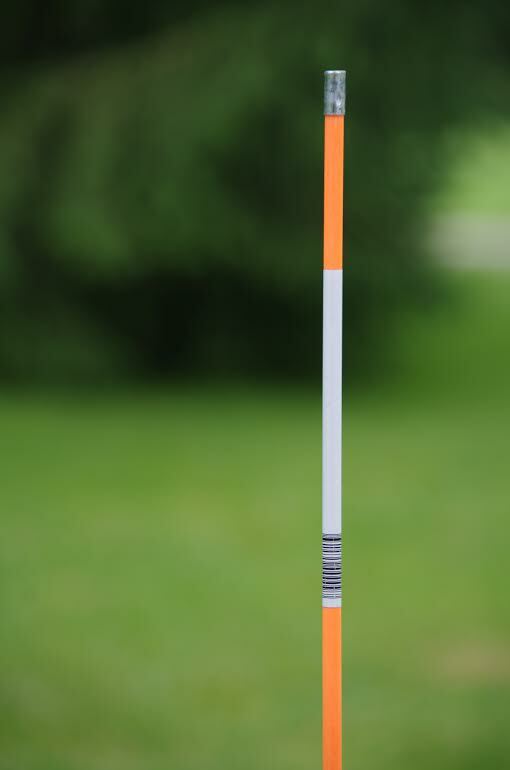 The 8 Ft. TUFF’n Lite 3 Composite Post is available in green, white or yellow options. The mounting hardware & post cap is included with kit. Use a standard post driver to install the anchor post. Special tools are not required for installation. Please contact Designovations directly for more information and ordering. 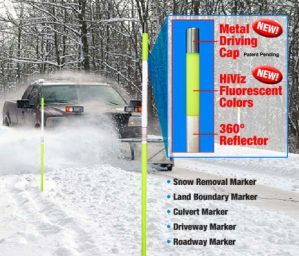 Snow pole markers/reflectors are composed of fiberglass to withstand the elements, but flexible enough to bend & then return to their original position. They can be used as boundary marking posts, plot markings posts or as other types of identification markings. 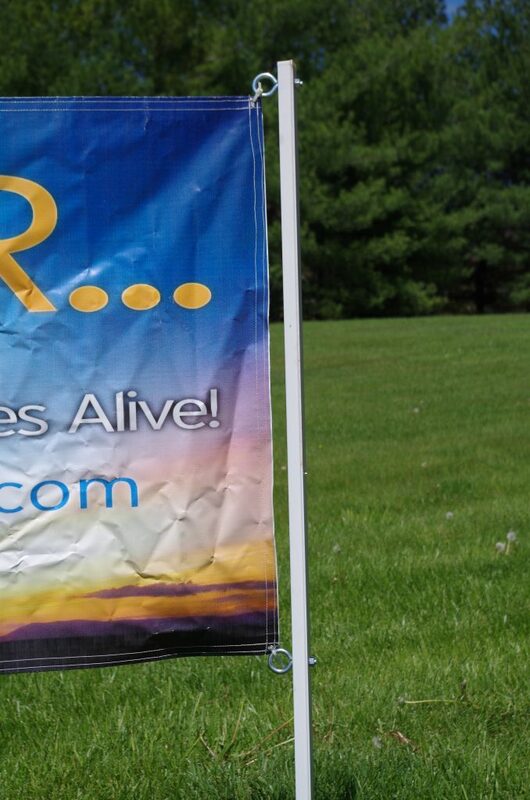 They are available in 48”, 60” or 72” lengths. Color choices include Hi-Vis Orange or Hi-Vis Lime. A metal driving cap & reflective tape are included on each pole. 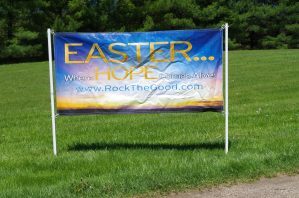 The unique TUFF’n Lite Composite Sign Posts are an ideal match for outdoor banners as they are 75% lighter & torsionally stronger than steel posts. Installation becomes effortless! 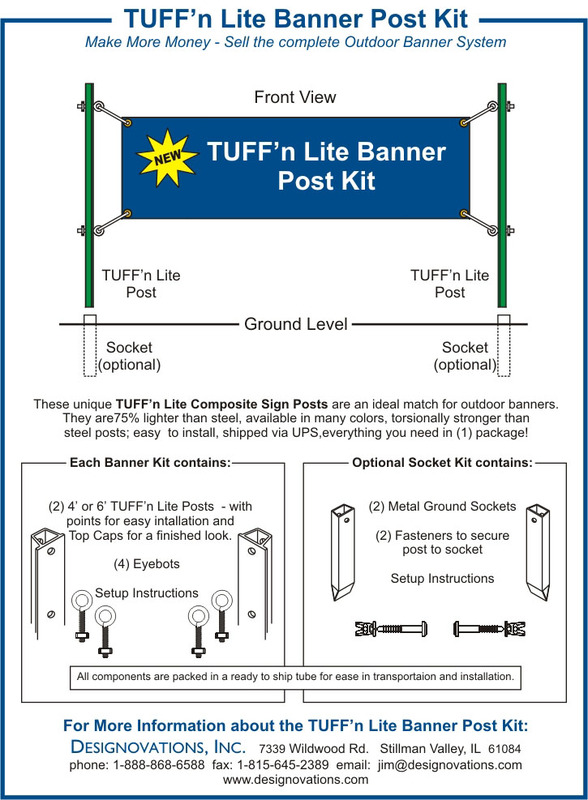 The TUFF’n Lite Banner Kit includes (2) 6 Ft. Green TUFF’n Lite Sign Posts or (2) 6 Ft. White TUFF’n Lite Sign Posts, (4) Eyebolts and setup instructions. 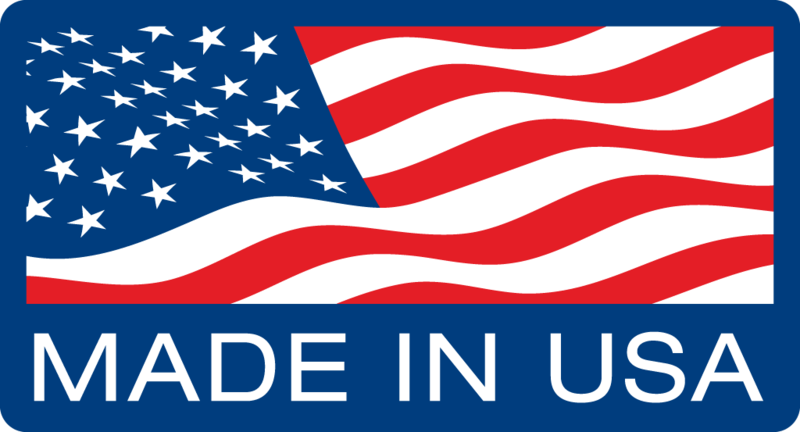 All components ship & store in (1) tube for ease in transportation & installation. An optional ground socket kit is also available for multiple use banners. The Socket Kit includes (2) metal ground sockets and (2) fasteners to secure the TUFF’n Lite Posts in the socket.